Discounted price compare to buying from counter. Simple redeemtion process. Recommend to buy thru klook. 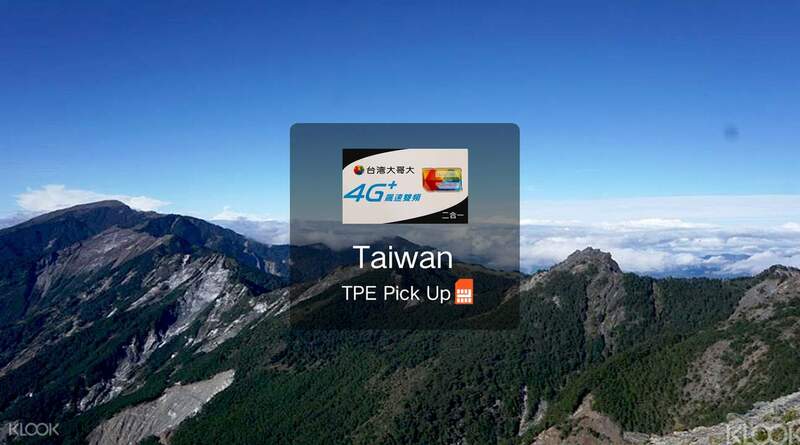 Stay constantly connected while you're on the go in Taiwan with an unlimited 4G data tourist SIM card! You'll be able to communicate with your friends and family, navigate your way around the country and keep up to date with the latest events without incurring steep roaming costs. This SIM includes all the extras including outgoing calls and no reduction of your fast 4G speed which you might get with other cards. With instant booking confirmation, convenient pick up service at Taipei Taoyuan International Airport and no registration process, you will have island-wide coverage from the moment you land in Taiwan. Very easy to use. It has good signal everywhere! And it’s really convenient to by a sim in advance and simply pick it up in the airport. Note: you are not allowed to buy this outside the airport, as they only sell 30day minimum in the city. Very easy to use. It has good signal everywhere! And it’s really convenient to by a sim in advance and simply pick it up in the airport. Note: you are not allowed to buy this outside the airport, as they only sell 30day minimum in the city. The counter is easy to locate, and the staff is friendly and helpful. In just a scan, I got my 10 days sim card. it's available in all 3 sizes. instantly, you get access to 4g network that you'll defo need while travelling around. good. The counter is easy to locate, and the staff is friendly and helpful. In just a scan, I got my 10 days sim card. it's available in all 3 sizes. instantly, you get access to 4g network that you'll defo need while travelling around. good. Easy collection right outside airport. Good connectivity throughout TW, with unlimited data. Strongly recommend for those who cant live without internet! Easy collection right outside airport. Good connectivity throughout TW, with unlimited data. Strongly recommend for those who cant live without internet! easy to redeem the ticket. the counter is located on the left handside of the arrival hall once we come out from custom. reception was good even in qing jing grassland. easy to redeem the ticket. the counter is located on the left handside of the arrival hall once we come out from custom. reception was good even in qing jing grassland. I really strongly recommend klook. . It's really convenient and fast response. ..appreciate. ..GOOD service. .. I really strongly recommend klook. . It's really convenient and fast response. ..appreciate. ..GOOD service. .. Counter is easy to find (turn left after exiting immigration and walk till the end). Line moves quickly to collect the SIM card however the staffs do not help to activate the SIM card as mentioned by others. Counter is easy to find (turn left after exiting immigration and walk till the end). Line moves quickly to collect the SIM card however the staffs do not help to activate the SIM card as mentioned by others. Discounted price compare to buying from counter. Simple redeemtion process. Recommend to buy thru klook. Discounted price compare to buying from counter. Simple redeemtion process. Recommend to buy thru klook. Q: Why are there no options for SIM card size? A: The SIM card is a 3 size in 1 card that can be resized to fit all mobile devices. Q: How is the card duration calculated? A: If you book a 10 day card, it will be valid for 24 hours x 10 days. 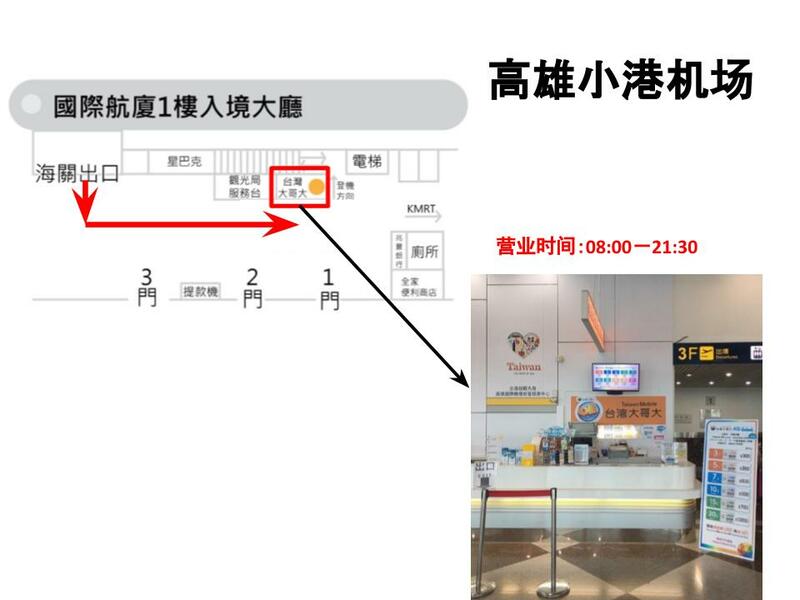 For example, if you insert the SIM card at 9:00am on 9th, it will be valid until 9:00am on 19th. Q: Can I pick up the SIM card for my friend? A: Sorry, you cannot pick up on behalf of others since showing identification is required. In addition, according to Taiwan law everyone must fill in an application form in person.